San Felipe, also known as the Gateway to the Sea of Cortez, is famous for two things – their fish tacos and their sparkling beaches. Nightclubs and bars dot the beach areas. Some visitors enjoy camping on the beaches or off-roading on ATVs and dirt bikes in the adjacent desert. Several hotels, ranches, camp sites and RV parks in or near the town boast volleyball, tennis, pools, bathing areas and fishing. A popular visitor attraction is the hot, sulfurous, geothermal springs at Puertecitos on the Sea of Cortez, cooled somewhat by sea water. 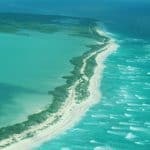 One of the lesser known sightseeing trips in San Felipe is a boat ride to Konsag Island. This is a rock, visible from the San Felipe coast line, and about an hour out to Sea. The area around the rock has lots of marine life and makes for great fishing. Discover San Felipe and all it has to offer, besides the beautiful beaches. For San Felipe beach locations and information on each beach, click here. In San Felipe, the summers are sweltering and arid, the winters are cool and dry, and it is mostly clear year round. Over the course of the year, the temperature typically varies from 55°F to 100°F and is rarely below 49°F or above 103°F. The hot season lasts for 3.7 months, from June 7 to September 28, with an average daily high temperature above 93°F. The hottest day of the year is July 30, with an average high of 100°F and low of 87°F. The cool season lasts for 3.4 months, from November 24 to March 6, with an average daily high temperature below 75°F. The coldest day of the year is December 27, with an average low of 55°F and high of 69°F. San Felipe International Airport is the closest airport to San Felipe. Americans traveling to Mexico must present a valid U.S. passport. Those traveling by sea can present a passport card and valid driver’s license to gain entrance back into the U.S. Permanent legal U.S. residents who hold a I-551 Permanent Resident card are allowed to board flights from Mexico to the U.S. American tourists entering Mexico by plane or traveling farther than the border zone must buy a tourist card. These are also know as an FM-T, and for travelers arriving by air, it’s usually included in the price of the plane ticket. Other travelers can obtain a tourist card from the Mexican border crossings, Mexican tourism offices, the Mexican consulates and most airlines serving Mexico. To find the best prices, go to AirFareWatchDog.com to watch for the best fares to San Felipe. Consistently the best seafood found in San Felipe so far. Good variety of shrimp dishes. Great shrimp and seafood cocktail. Moderate prices. Excellent Margaritas. For more information call 52 686 577 0915, or visit them on Facebook at Mariscos La Morena. 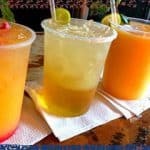 Baja Mar is a great place to meet up with friends and have great food and drinks. Located right across the street from the water, the great location is matched by the service and the food. Well worth the price! For more information call 52 686 221 1359, or visit them on TripAdvisor at Baja Mar Restaurante. Dinner and atmosphere were lovely. Staff attentive and friendly. Food is a bit pricey, but well worth it. The service and food is always good. One of the best restaurants in San Felipe. For more information call 52, or visit them on TripAdvisor at La Vaquita Marina. They have great breakfast and one of the few places that you can get chiliquiles in a green sauce, the sauce is made with tomatillos not green chilies, the machaca is also outstanding, best part is the service. For more information call 52 686 577 0085, or visit them on Facebook at Chumpo’s Restaurant. Get the fish tacos and a fantastic margarita. The food is always very good, as well as the salsa and chips. The service is outstanding, and prices are reasonable for the quality of food. Also has great breakfast. For more information call 52 615 154 0283, or visit them on Facebook at Rice & Beans. The Distillery is the first artisan distillery in the Baja Sur region. 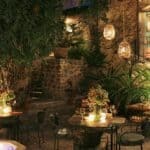 Here visitors can enjoy drinks such as Baja Midnight vodka, chocolate moonshine, and various house blends of tequila, while they can also learn about how alcohol is fermented, distilled, and bottled. The moonshine is made from sweet white corn, and sugarcane is used to make their vodka. The Distillery also serves traditional and local wines, the house favorite is Jamica. Customers will be able to enjoy their drinks while dining at the bar or picnic area, and visitors . Additionally, special events are often held at The Distillery, such as movie nights, community benefits, and weddings. For more information call 52 612 145 0213, or visit them on the web at The Distillery. El Faro Beach Club and Spa captures Todos Santos’ luxury lifestyle. A wonderful aspect of this restaurant is its promotion of healthy living and sustainability. Since it is close to the beach, visitors can sample healthy entrees and tasty drinks after enjoying the waves. With its elegant atmosphere this is an ideal place to end an adventuous day. 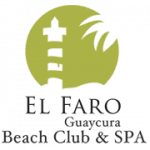 El Faro Beach Club and Spa is a part of Guaycura Boutique Hotel, but you don’t have to be a hotel guest to visit the restaurant. Anyone can savor their cocktails, ceviches, tacos, empanadas, and sashimi. The wine is delicious and is produced in the Baja California Sur region. For more information call 52 612 175 0800, or visit them on Facebook at El Faro Beach Club and Spa. Tequila’s Sunrise Bar and Grill is a Todos Santos’ colorful open restaurant and bar. The bar has pigskin covered chairs and a long dining room. The bar also features an outdoor dining area. Before or after visiting the bar, visitors can take a stroll along the adjacent shopping plaza. Due to its proximity to many shops, Tequila’s Sunrise Bar and Grill is highly popular among locals. Patrons can sample appetizers, soups, salads, shrimp or lobster chiles rellenos. The chef uses fresh sauces and creates tasty dishes, yet no meal is complete without a margarita. This drink is the house specialty and is worth trying. For more information call them at 52 612 145 0073, or visit them on Facebook at Tequila’s Sunrise Bar & Grill. A famous bar and restaurant, La Copa Cocina is proud to serve delicious dishes and drinks. Chef Patricio and his team cook with passion and aim to deliver excellent creations. Chef Patricio allows visitors to witness his preparation of the food in the kitchen. If visitors wish to sample their food they should reserve a table, since La Copa Cocina fills up quickly. There are two seating areas and the gorgeous garden patio is ideal for couples who want to have a romantic evening. The hip Iguana lounge is ideal for parties and for those who love to have dinner while enjoying a show. For more information call 52 612 145 0040, or visit them on the TripAdvisor at La Copa Cocina. 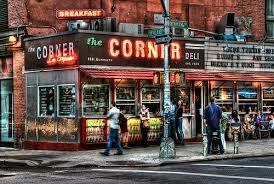 La Esquina translates to ‘the corner’. The restaurant provides an impressive beer list, and patrons usually choose the famous draft beers Modelo Especial and Negra Modelo. This off-the-beaten-path venue offers healthy food choices including sandwiches, salads, soups, smoothies, and juices. The fruits and vegetables are local and organically grown behind La Esquina. For more information call 52 612 145 0851, or visit them on the web at La Esquina. If you do anything here, you must go to South Beach and enjoy all of the birds here. It is absolutely beautiful and a place worth not missing. The beach is filled with large rocks and sea shells, so don’t go barefoot. It is a great place for jogging or strolling, but not swimming. Improve your riding skills, learn to lunge, work on a discipline or increase your general knowledge as an equestrian! Unwind on the picturesque trails and enjoy beautiful Sonoran desert scenery. With mountain and ocean backdrops, trail rides in Baja are something special. For more information call them at 52 686 526 2912 , or visit them on the web at Horses in Baja. Whether first time off roader or Baja veteran SFOR is the place to begin your adventure vacation. We boast the area’s only dedicated Desert Quad Park, private desert access to world class routes and an equipment fleet unmatched anywhere in San Felipe. San Felipe Off Road can arrange all aspects of your adventure from arrival to departure, or simply stop in or call when you get to town and they can schedule you for one of our daily activities. For more information call 52 686 577 3022 , or visit them on the web at San Felipe Off Road. Fishing starts at sun up and ends at sun down. On those six -day trips you will get between four and one half and five days of actual fishing time. Trips depart from San Felipe on Sundays at approximately 10:00 AM. The Tony Reyes will return to San Felipe at approximately 2:00 AM Saturday, where your catch will be packed in your ice chests for the trip home. For more information call 52 714 538 8010, or visit them on the web at Tony Reyes Fishing Tours. 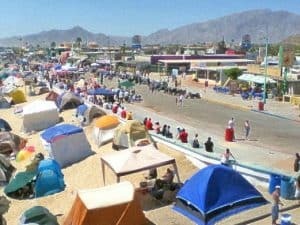 The 4 block waterfront area in downtown San Felipe is very active, and where most of the tourists hang out, known as the Malecon alone is dotted with almost a dozen fresh shrimp and fish taco stands, which also specialize in fresh seafood cocktails and freshly dug, steamed clams. The Malecon in San Felipe offers stunning views of the Sea of Cortez and San Felipe Bay. If you want to charter a fishing boat the malecon is where you will find a captain to take you on either a tour of the islands or fishing. The Malecon is perfect for eating or just taking a relaxing stroll. For more information visit the San Felipe Malecon. Nestled on the beach, this San Felipe hotel is 1 mile from San Felipe Marina and 2.9 miles from San Felipe Health Center. San Felipe Lighthouse is 4.1 miles away. Guests of this beach hotel will appreciate convenient onsite amenities such as spa services or a children’s pool. For more information, pricing, or to reserve your room, visit Hotel San Felipe on TripAdvisor. 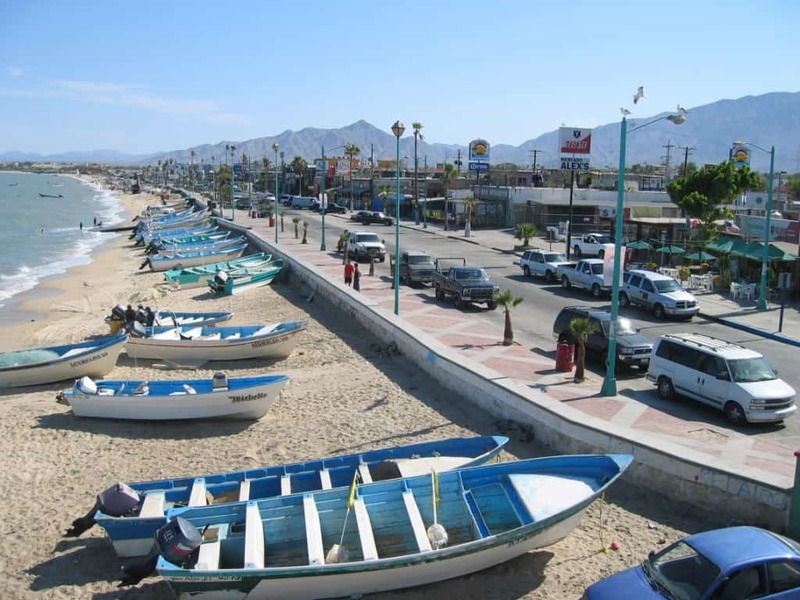 San Felipe Sandollar Beachfront is located on the beautiful Sea of Cortez in San Felipe, Baja California Norte, Mexico. It features hotel, condos, and oceanfront residencies. It is just a few minutes away from the San Felipe airport. You will appreciate the short drive to this marvelous holiday retreat. For more information, pricing, or to reserve your room, visit San Felipe Sandollar. Hi can you recommend how to approach the captains to go on a day fishing trip to Konsag island, or how to find other tourists to reduce costs? I read that going to the malecon the evening prior often works, but I’m worried that going on memorial day weekend may mean the malecon will be crazy crowded. It will be crazy crowded that is no lie, LOL. In my experience … I have fished there at least four times, is to make the reservation for the fishing trip thru the hotel (they all will do this for you). Tell them you are looking to go with a group, I always did, and then you can all split the cost. Actually, most fishing charters are done by group and allow so many on each trip. So best to plan the fishing trip ahead. Please let me know if I can help you with this. Hi can you recommend any RV parks there? Also is there an expat community there? Thanks! Hi, and thank you for stopping in to read about San Felipe Travel. The best RV parks are Kiki’s RV, Pete’s Camp, and Reubens Campground. And yes, there is most definitely an expat community in San Felipe 🙂 Please let me know if you have any other questions. Thanks for stopping by San Felipe Travel. I’ve been looking for a holiday destination with great beaches like you’ve mentioned. I’m from Australia and have a family with 3 young kids. Do you think San Felipe would be a good holiday destination for a young family? If so, is there anywhere that you’d recommend for the kids? I believe your kids would have a ball. Besides making sand castles, romping in the sand, and just playing on the beach with beach toys, they can go horse back riding, on boat rides, atv tours, etc. There is lots of fun things for them to do 🙂 Lots of kids also fly their kites on the beach. Thanks for visiting and let me know if you have any other questions. Ugh can someone take me away there like NOW?! I just love the scenery and all things you wrote we can do. 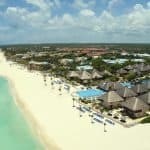 The El Faro Beach Club and Spa sounds a place I would visit since I’m all about healthy eating and I can’t stand feeling bloated and icky after eating out heavy foods. I rode a horse in Cayo Coco, Cuba so riding horses in Horses in Baja would be another thing I would love to do. I was wondering if there are groups that do yoga on the beach? We can pack our bags and leave together! It is beautiful in San Felipe for sure. I have seen yoga groups in the Baja, I just can’t answer for San Felipe in specific. I know that in San Jose del Cabo and in Cabo San Lucas, there have been yoga groups on the beach. So I am thinking that yes, there probably is 🙂 Thanks for reading! Sounds like an beautiful and fun place to visit. The restaurants and bars sounded great too. Thanks for all the helpful and direct information. I feel like I would be afraid to rent a car there though. I know you said finding a hotel might be troublesome. Why is that? Is it because there aren’t many and they are all booked up, or because they are scary or something? No, finding a hotel is troublesome because there just are not very many there, and the ones that are there will fill up quickly. If you book in advance (I’d say a month or more), you will not have any problems finding hotel accommodations in San Felipe. Thanks for reading Jamie. Great article! Lots of information for me to take in about a place that I’ve never heard of before. I always thought that Baja was this abandoned desert area, but apparently it is very nice. It would be more of a winter trip for me, because I don’t think my body could handle 100+ degrees. Yes, I have been during the summer months and it is hot. I find I spend a lot more time at the pool sipping margaritas when I am there during the summer. The winters are awesome! The weather and the water is still warm, and I find this the best time of year to travel to Baja California. Thanks for the article, living in Arizona, I travel to Mexico a lot, but have never been to San Felipe. Looks like I’ve got another place on my bucket list! I noticed you didn’t mention Hotels, what are the accommodations like? There was an issue with my hotel link and I have fixed it. Thank you for letting me know! However, there are not very many hotels in San Felipe and it is best to book at least a month in advance to secure your accommodations. 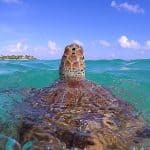 Traveling to Baja California is a wonderful way to enjoy a beach vacation. I think you will find it quite the contrast to Arizona, but you will love it! Hello! Your pictures are beautiful! So inviting. You offered a lot of information about San Felipe. From how close the airport is, the temperature to areas to visit and things to do. It is a one stop research! And when I’m ready to purchase my ticket there’s Expedia right there on the side. How convenient! Everything you need 🙂 Between personal experience and research, I really do believe I list the best there is for San Felipe Travel. I am glad you enjoyed! 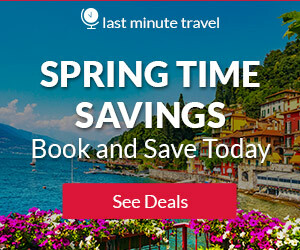 Come back and visit beachtraveldestinations.com again sometime. 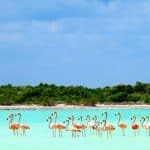 I have been looking to visit Mexico for some time now, and I just finished reading you article about San Felipe Travel. This place looks amazing! I also found the perfect place here on your site. The Hotel Aqui es Mexico sound like it would be a perfect place to stay, and not to hard on my budget. Yes, always run it by the boss 😀 I don’t think she will quibble too much as it is so beautiful, with picture perfect beaches, perfect weather, and not too crowded. San Felipe is a wonderful beach destination! 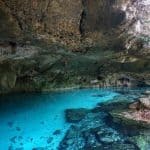 I have read your post with great interest and just going by the images that you have shown, this place looks like paradise. There is so much to do and see, one would need a year to see this place and travel all the scenic locations. Well done on outlining all the important issues like insurance, car hire and the best restaurants to visit. With all year round sunshine, its a really great destination to put into our bucket list. Yes, you are right on everything. It is like a little slice of heaven in the Baja. But of course, there are many to be found. What is nice is that you won’t see all the crowds here and the weather, for the most part, always cooperates. Thanks for visiting! This looks so beautiful. You have provided me with everything to expect if I were to visit this place. I have seen a couple of the locations you featured and you always give plenty of good information. Thanks. You are most welcome Ronnie. I am glad you came back and enjoyed visiting my site again. Please let me know if you need any further information. Thanks for the post, I did wonder if you could give me some insight into where some quiet beaches might be around this area? Me and my partner were thinking of going to South Beach but if you could recommend another beach that might be a bit more quiet that would be great! South Beach is going to be better than hitting the beach at Malecon. Malecon is where most folks tend to go because of all of the shops and restaurants there. San Felipe is not super large, so it doesn’t have as many beaches. With that being said, it is also not as crowded as other beach towns along the Baja. You might also try heading to La Hacienda and Jenny’s Beach resort, both of which are on the beach and fairly quiet 🙂 Please let me know if you need any other information.